Marvel's Luke Cage has an official production name, and Sweet Christmas, it's a fun reference. The show, the third from the Netflix and Marvel TV partnership, will be filmed under the production name "Tiara." Production Weekly revealed the name, alongside other productions like Fox's Marvel movie Gambit (under the name Chess). The Agents of S.H.I.E.L.D. spin-off Marvel's Most Wanted is also on the list as being under production. That, of course, is a reference to the classic look of Luke "Power Man" Cage, which featured what's commonly called a Tiara, though some would argue it's just a metal headband (since it's not worn on the crown of the head). The character's 70s look largely stayed in the past, as his modern look is typically headband-less, and usually shirtless, too. Daredevil, the first of the Netflix-Marvel connection, was filmed under the codename "Bluff" as in, "Blind Man's." 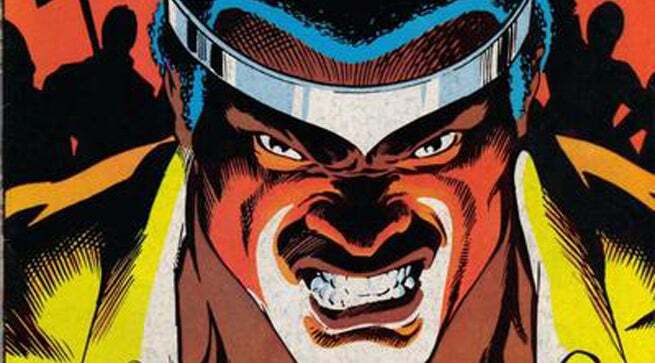 Luke Cage is filming in NYC now, for a likely 2016 release. New Yorkers, start checking those lightpost and parking meter postings for "Tiara!"